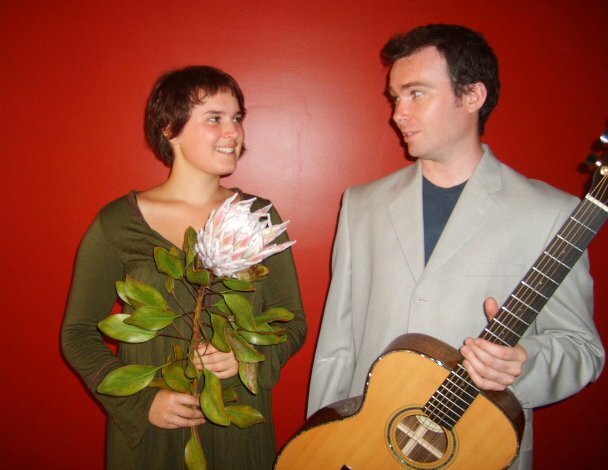 Cannon & Paige jazz duo will perform beautiful jazz standards, played superbly and sung divinely. Both Jessica Paige and Glenn Cannon have a swag of awards for their music and receive rave reviews wherever they play. VCA graduate, Glenn Cannon, is a master guitarist and a seasoned international performer. Jessica has national and international awards including an APRA award and a covetted JB(John Butler)Seed award. Glenn has played all over Australia and South East Asia, has made numerous television appearances as a session guitarist (including Channel 7's Good Friday Appeal, Channel 9's Starstruck and Carols by Candlelight, and Channel 10's GMA). He has backed Vanessa Amorosi, Danni Minogue, Kate Ceberano, Ross Wilson, Rhonda Burchmore and Wilbur Wilde. He also was a National Jazz Awards finalist and has played at many prestigious festivals, including The Melbourne International Jazz Festival, The Electric Jazz Festival and the Wangaratta Jazz Festival. He has conducted improvisation workshops in Asia and recently returned from Paris where he worked as a freelance jazz guitarist. 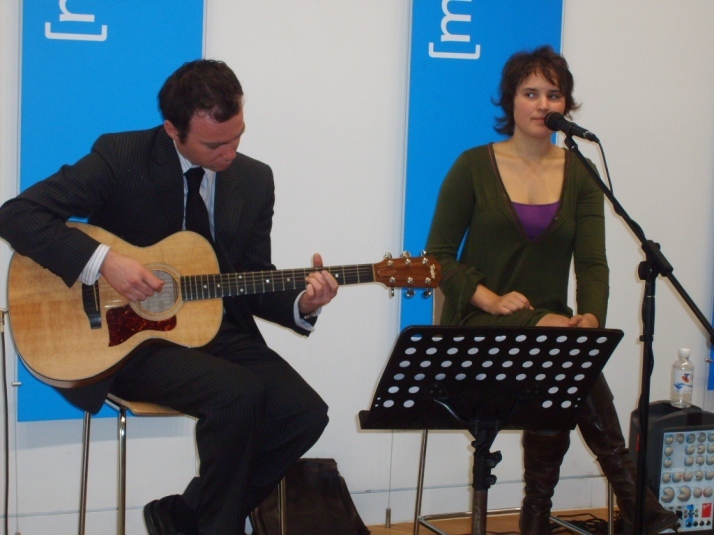 Jessica is also a festival performer, and has been on the bill for the St Kilda Festival in 2007, 2008 and 2011, The Corinbank Festival, The International Guitar Festival and many more. Jessica has been complimented by such luminaries as Dan Sultan, Adam Hills, John Butler and Ben Harper! 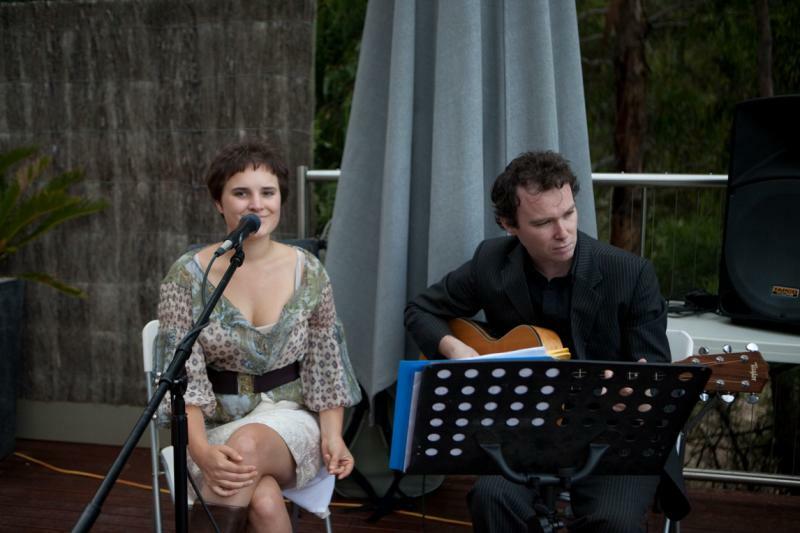 This duo gives Jessica the opportunity to sing favourite jazz standards and contemporary favourites with one of Australia’s top guitarists. A delightful musical partnership! “Beautiful and captivating, sung with passion and utter conviction. Totally enchanting”. Their jazz is melodic and accessible. They have performed at the St Kilda Sea Baths, Leonda on the Yarra, Butleigh Wootton,Daylesford Convent Gallery, The Melbourne Aquarium, The Windsor Hotel, Jurlique store promotions, The Telstra Shop (Melbourne), Garuda Christmas party, The Cellars (city), Bluestocking Gala, Carnegie Jazz by the Pool, Melbourne Town Hall and many more.